The Primary School Examination (PSE) results were announced last week and the Crooked Tree Village School did an excellent job. A total of 19 students sat the exam and all of them were successful. Twelve year old Arturo Wade and Shawn Crawford were the top scorers, with scores of 353 points out of 400, or 88.25%. 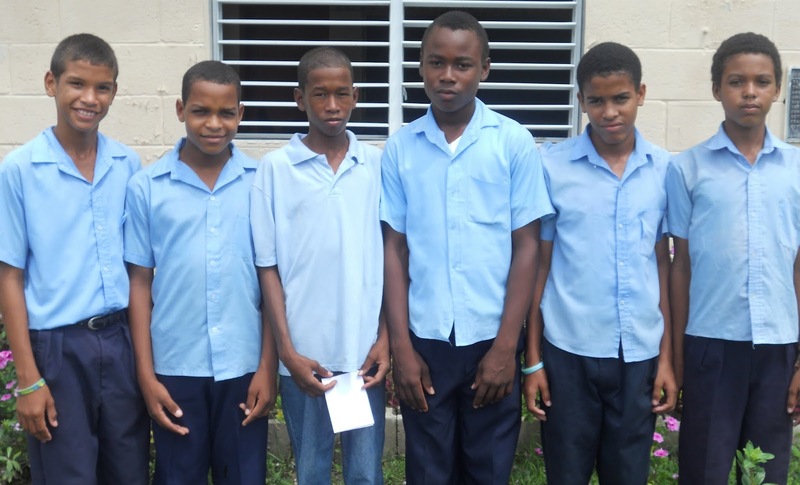 The top five students at Crooked Tree are Arturo Wade, Shawn Crawford, Glenford Herbert, Edwin Gillett and Terique Gillett. Crooked Tree School now ranked 7th from 60 schools in the Belize District and 14th out of 288 schools nationwide. This is a huge advancement for the Principal, Winnie Gillett and the villagers of Crooked Tree. Principal Gillett said, “I feel so proud and elated for all of my students, especially since this was a very challenging class of 15 boys and 4 girls. There were times when the class teacher Verla Jex, felt like giving up but she persevered to the end. We try very hard to prepare out students for the PSE; in fact, we start to prepare them from the very moment they enter Crooked Tree School. All of our teachers work very hard and I want to thank them for their commitment and dedication to our school and Crooked Tree Village. In the past several years it has been paying off in a big way for us”. The Primary School Examination (PSE) is the conclusion of the 8 years of study and hard work before high school. The students are tested in the areas of Math, Science, English, and Social Studies. Congratulations to Winnie and all the teachers of Crooked Tree Govt School, you are doing a great job! Special congratulations to my sis, Verla, once again you proved you still have it in you! I am not surprised, Linda Crawford! Some of the smartest people I know are from beautiful Crooked Tree, our Cashew Capital of the country! Congrats, Crooked Tree and Belize! Bravo, proud of Crooked Tree School. Congrats to the kids and teachers of Crooked Tree Village. Congrats goes out to the staff and pupils of Crooked Tree Village. A great job especially to techer Principal Winnie and Teacher Verla, I'm so proud of you gyal. Kudos to Crooked Tree Village!! Teacher Verla Jex, you are an amazing teacher! 15 boys and 4 girls? My hat is off to your success. Actually it was from right to left in that order and I was in the top five, Ethan Wesby.